A freezing January morning at Loch A Chroisg just a little after sunrise, something that made very little difference to the ambient temperature which hovered around - 25 degrees celcius for the majority of the day. 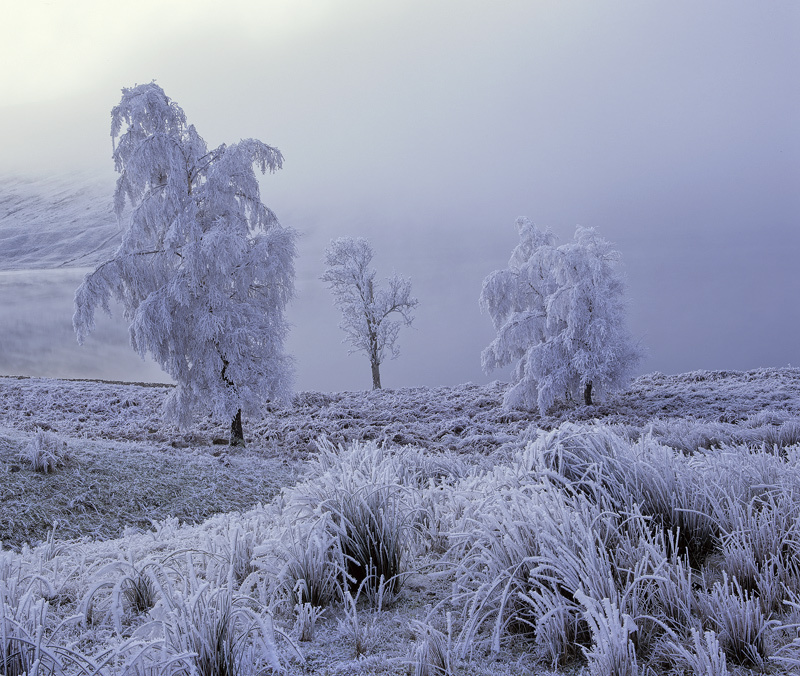 The mist never really burnt off but it did occasionally lessen its density to reveal ghostly hoar frosted birches near the waters edge. Winter's grip has rarely been this apparent even in Scotland.